With the impending royal wedding and the recent heatwave it only seems apt that in true ‘Brit’ style we should see it as an opportunity to join in with the celebrations and throw a party…. and eat cake!!! Why not recreate the street parties from years gone by but add a modern twist. Turn your garden, yard or balcony into a place for a princess. Set the garden table (they have some stunning ones in the garden furniture range at Wyevale), add some bunting (Hobbycraft and local Supermarkets have a beautiful selection), drape some outdoor fairy lights and pull up all the chairs you can find. 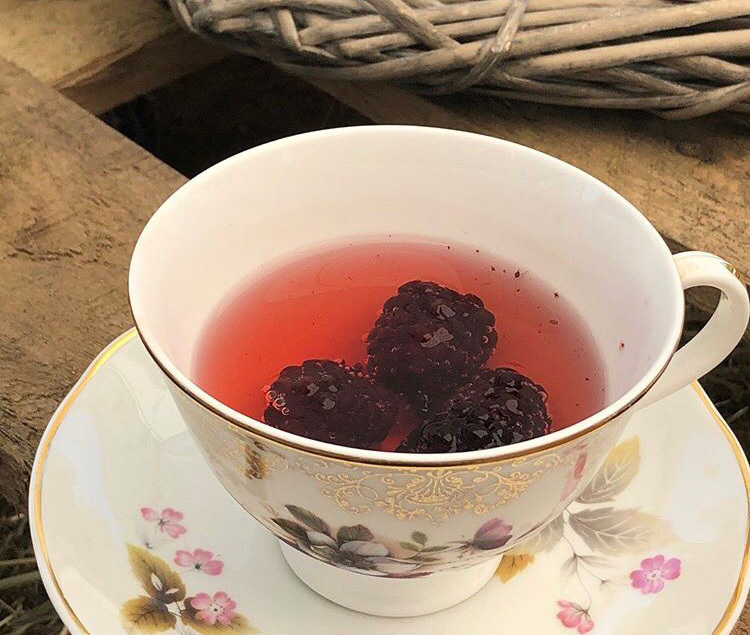 Dust off the teapot and teacups and add a modern twist by serving up a cocktail in them rather than tea! Gin is very much on trend for 2018, and I have the most amazing cocktail recipe that everyone will love (for over 18’s only)! The ‘afternoon tea’ is also a huge trend and I can certainly see why! 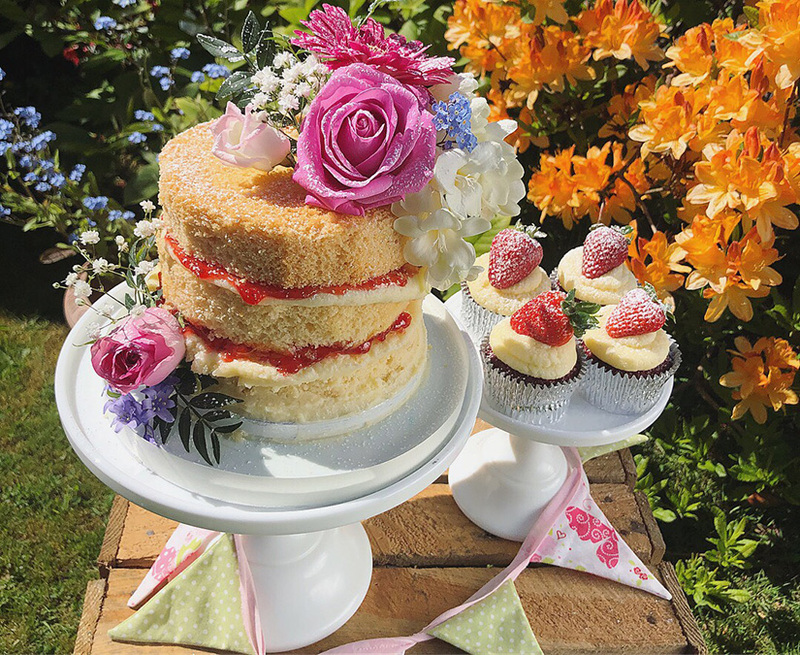 Sandwiches, cakes, macarons and other tasty finger foods served on pretty cake stands with tiny side plates also scream British tradition and would be the perfect way to celebrate! Cucumber sandwiches, cupcakes, scones and even macarons are a pleasure to make from scratch or sold in supermarkets and local shops if you want to save time. (Sainsbury’s sell a selection of affordable macarons). If you don’t have cake stands buy some affordable cardboard cake stands, or shop around for a tiered cake stand if you want to impress and have a bigger budget. Ok so this is obviously the most important party of any party especially a Royal themed party! Why not recreate a stunning ‘naked cake’ which is a nod to the recent wedding cake trends (however I expect Meghan Markle will be requesting a much more expensive, I mean, extravagant cake ;0). The naked cake looks very appetising, effortless and guarantees to be a talking point amongst your guests. You could create a traditional Victoria sponge or alternatively make a red velvet cake to reference Meghan’s American heritage. Place the mixture into 2 greased 6” cake tins. Bake on gas mark 4 for approximately 1 hour. Using a dry piece of spaghetti insert into be centre of the cakes to see if they’re cooked and they come out clean. If not pop them back in for a further 10 minutes. Cut the cakes into 2 or layers. Make the buttercream filling by whipping up 250g softened unsalted butter with 500g icing sugar and 50ml whole milk. Add a few drops of vanilla essence. Once thick and creamy scoop into a piping bag. Buy a good quality jam/conserve and using a knife add it to one half of each side of the cakes. Using a piping bag and open round nozzle (or simply snip off the end of the piping bag if you don’t have the nozzle). Add a generous amount of filling to each layer. Tip: make sure you pipe in a spiral from the edge of the cake into the centre. Layer up the cake. Dust with icing sugar using a sieve. Then add some fresh garden flowers such as roses, daisies or anything else that is in bloom in your garden. Serve and make sure you get a slice yourself because I guarantee it’ll be devoured! I hope you give it a go! Please send me your comments or pictures of your Royal Wedding Garden Party!